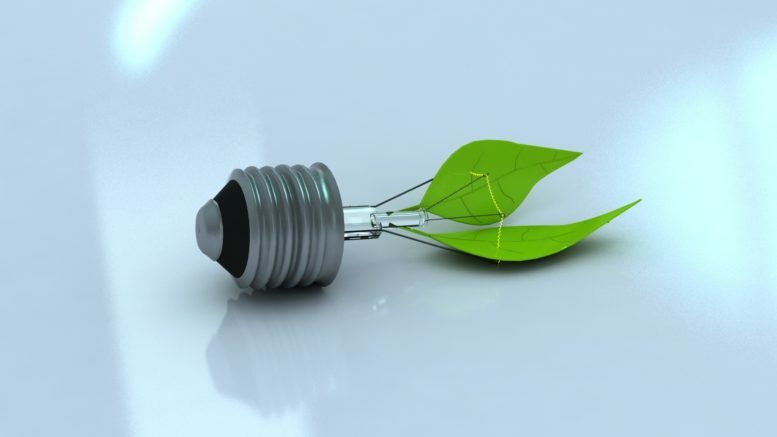 These days, and for the foreseeable future, businesses will have to “go green” in order to make some green. Simply put, employing environmentally friendly policies and practices and technologies, will greatly help businesses be profitable — and even save some money. This is especially true for the hotel industry. The continuous consumer shift into eco-friendliness spans across nearly every demographic group, and is strong among Millennials. In recent years, Millennials, those born from 1981 to 1997, have grown in numbers. This generation has become the largest generation in the U.S., according to a report from the Pew Research Center. Millennials have outnumbered Baby Boomers, people born from 1946 to 1964. With the population growth comes the Millennials’ buying power and the increased growth in the consumer marketplace. Millennial travelers tend to be aware when service providers are not employing environmental and ecological friendly policies and technologies, and they tend to be unafraid of voicing their disdain on such matters. Even if Millennial travel customers don’t express their negative opinions on this to management at hotels and other lodging locations, it’s a safe bet that they will be telling their friends, family — and the rest of the world — via social media. Another touchstone of the Millennial mindset in the marketplace is the appropriate use of smart technology that aid in going green and, in theory, makes life more convenient for the technology users. The earliest widespread use of smart technology came with cell phones. Then we saw smart technology in homes in many forms, including energy-saving devices such as smart thermostats, and automatic light dimmers tied to motion detectors. The Internet of Things (IOT), the interconnection of electrical devices that is controlled and recognized through an online digital network, made all of that possible. Imagine being able to quell that nagging feeling you didn’t turn off your coffee maker when you left home for a vacation by being able to check from a distance, using your smartphone or tablet — and being able to do something about it, from a distance, using that same smart technology? Now, that technology is making a new home in hotels and commercial lodging sites throughout the world. Already, we’ve seen automated, smartphone-enabled check-in service. This service allows the guest’s smartphone app to automatically alert the hotel’s front desk that the guest is near the hotel and would be arriving shortly. Check-in would then be automatic, convenient and seamless. It could also lead to some savings on operations costs for the hotelier. There are also hotels, including some under the Hilton and Starwood brand umbrella, which have been using Bluetooth technology which allows guests to use their smartphones as room and suite keys. Consumers love the convenience, and the “cool factor,” of such smart technology. After all, everyone knows that a superior customer experience is what keeps the consumer coming back. Providing a personalized and customized consumer experience, or at least one that appears to be tailored to each guest, has always been appealing to hospitality service customers. Savvy hoteliers and lodging managers are also using smart technology in other ways to enhance the customer experience. Sensors equipped throughout hotels — from the gym, to the café, and near edibles and other freebies in the lobby — feed info on guests’ preferences to a hotel’s smart app. This allows the hotel staff to cater to the guests’ preferences and, in some cases, anticipating guests’ potential future needs. Now that’s superior customer experience! On the savings end, eco-friendly smart technology can help hoteliers save money by cutting costs on key operating expenses heating, ventilating and air conditioning (HVAC). Sensors can detect data on things such as the number of people in any part of the property would lead to efficient usage of air conditioning and heating. One IOT pilot program that led to efficiencies gained from smart HVAC systems resulted in about $60,000 in annual savings in a single location, according to a published report from the Wharton School of Business at the University of Pennsylvania. Multiply that by the number of hotel and lodging locations, and the savings potential grows from there. Using less heating and air conditioning when possible also lessens the environmental impact of energy use. It’s a green practice that can be subtly incorporated into a marketing strategy, since environmentally friendly policies and practices appeals to many consumers these days. The world marketplace has come a long way from categorizing eco-friendly minded individuals as tree-huggers who live on the fringe of any customer base. The hotel and lodging industry should continue to join the rest of the business world in embracing the “go green” consumer mentality. Armed with green policies, practices and technologies, hoteliers and lodging managers/owners are much more likely to get their hands on more profits, and save more money in the process. Ash Sobhe is Marketing Director for HotelsCombined, a hotel comparison platform website and app that allows users to perform one search and compare hotel deals from all the top travel sites around the world.